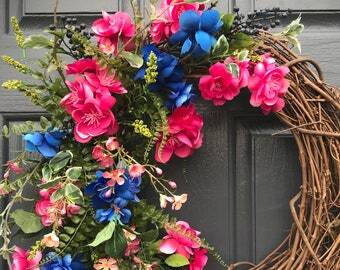 If you like bold colors then this wreath is for you! 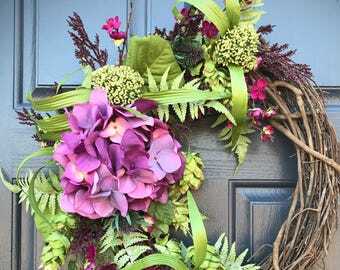 Beautiful red, purple, and yellow flowers jump from this wreath all mixed with pretty green ferns and leaves. 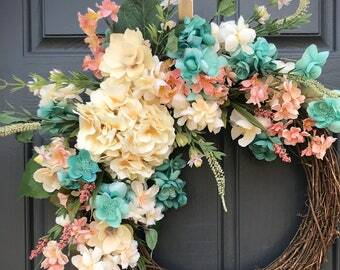 The measurements above are based off the tips of the wreath. It is built on an 18 inch grapevine base. 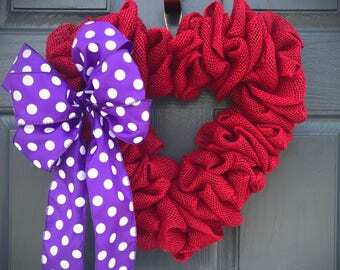 ***PLEASE keep in mind that the majority of my wreaths are ONE OF A KIND and CANNOT be duplicated. If you are considering purchasing one, I would recommend not waiting too long and risk someone else purchasing it. 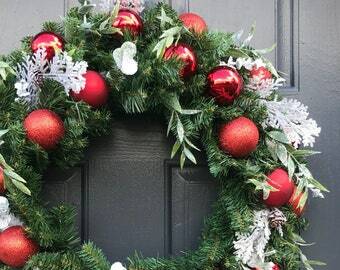 PLEASE NOTE - As not all computer monitors are the same, colors or contrast might vary slightly from actual wreath. 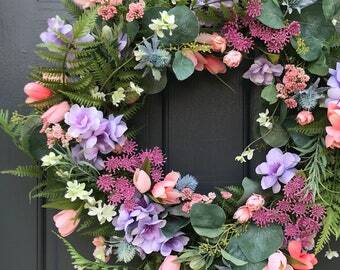 *This is the exact wreath you will receive and it is ready to ship. 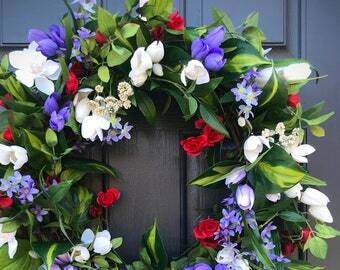 As with any wreath, the more it is subjected to the elements, the quicker it deteriorates. 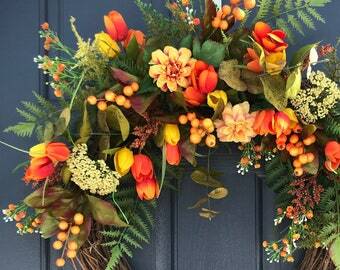 I always suggest bringing your wreath indoors when inclement weather is approaching. 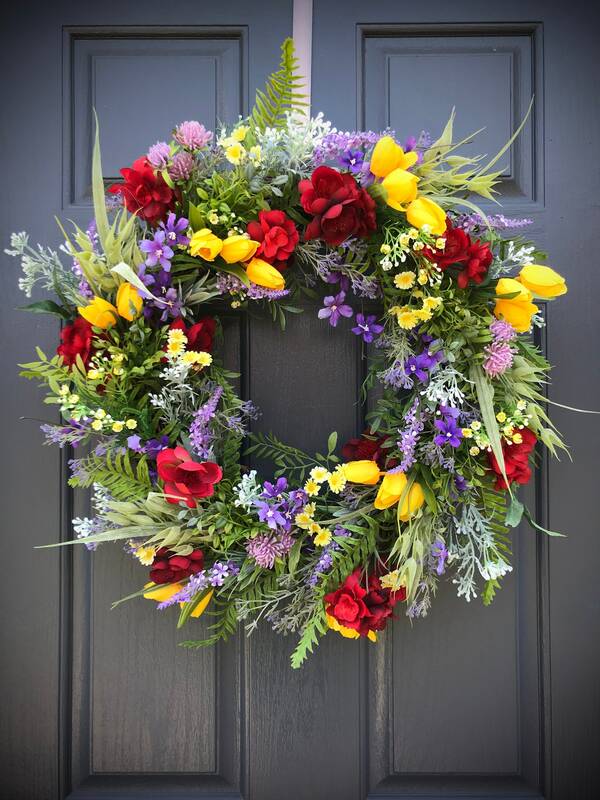 Ships zip tied in a sturdy box suitable for storing your wreath. Is this a gift? Please be sure to state if it is in Notes to Seller so I can include a receipt without a price. I would be happy to include a gift note with a personal message from you. Just add instructions in Note to Seller as well. I do ship internationally via USPS. 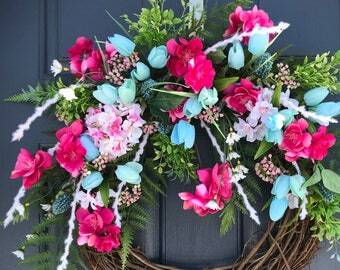 Please contact me for shipping rates as they vary with each wreath and country. 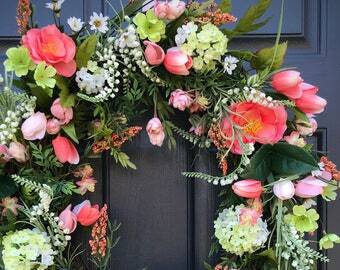 Due to the size of my wreaths and the boxes they ship in, rates are often quite high for international orders. 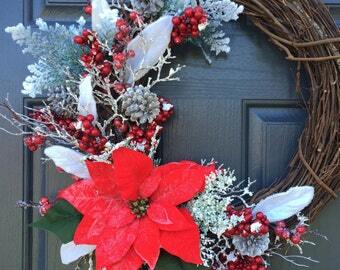 The wreath was packaged so securely and it looks even better than I expected. I love it! Looks great next to my blue house :) thank you so much! 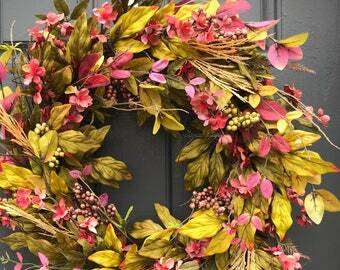 I always recommend you bring your wreath indoors when inclement weather is approaching. 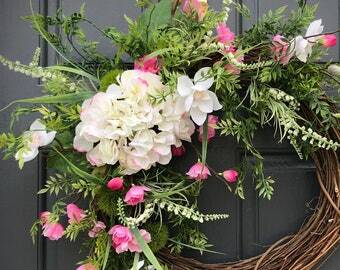 As with any wreath, the more it is subjected to the elements, the quicker it deteriorates. 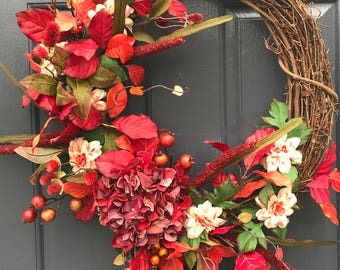 I cannot be held responsible for damage to a wreath that has been consistently exposed to sun, wind and rain. 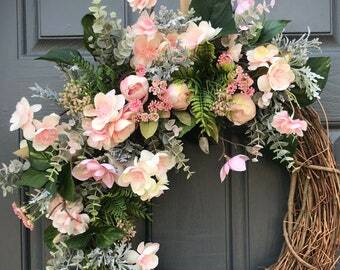 All my wreaths are shipped zip tied (burlap wreaths are not zip tied) inside a sturdy box, to avoid as much movement as possible, and covered with bubble wrap. Once it is out of my hands and in those of the shipping carrier, the control is no longer mine.